1. Client requirements: retail is all about detail. A full understanding of our customers' needs is what we keep insisting. 2. Proposal layout planning: after receiving deposit we will provide technical drawings to ensure our full understanding of customer requirements. 3. 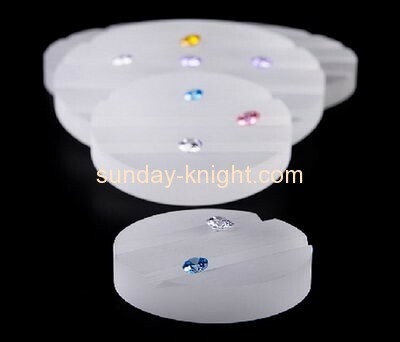 Sampling: creating acrylic block earring jewellery display samples provides customer to check the entire design more directly. 4. Manufacturing: professional techniques from highly experienced workers and reasonable work distributions. 5. Quality control: we take regular check for every produce steps to ensure a consistent product quality. 6. Logistics: we need our product to be as perfect as it is in the factory when the goods arrive to the customer.